The Catholic Church teaches us that faith is a personal act. It is the free response of the human person to the initiative of God who reveals himself. But faith is not an isolated act. In other words, no one can believe alone, just as no one can live alone. That is why it is very important to Catholics to share our beliefs and faith with others, and for Catholic moms; our children. Our love for Jesus and for our neighbor impels us to speak to others about our faith. Each believer is thus a link in the great chain of believers. I cannot believe without being carried by the faith of others, and by my faith I help support others in the faith. So how do we teach faith to children? Below are three ways you can teach your kids about faith. A lot of people think that Catholics do not emphasize reading the Bible, but in fact this is completely false. At mass we listen to and meditate on Scripture in the form of the Liturgy of the Word. The readings, responsorial psalm and Gospel are read and discussed during this part of the mass. 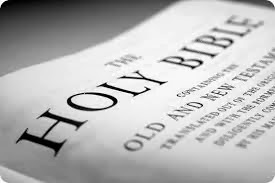 Reading the Bible with your children at home will help them better understand the Liturgy of the Word. Use a children’s Bible for younger kids. Asking questions about the readings afterwards will help your children start discussion and better understand what the Bible teaches. Praying helps us grow closer to Jesus Christ. You can tell small children that Jesus is their friend and they can tell him anything. 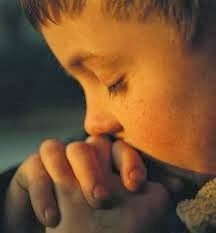 When your kids get older they can learn the Our Father, Hail Mary, and the Blessing Before a Meal. Saying these prayers with your children every day is a great way to help strengthen their relationship with Jesus. Catholics pray before the crucifix and the images and relics of the saints because they remind us of Christ. 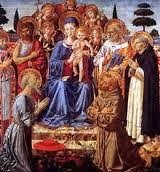 The saints are important because we strive every day to live like they did. Every Catholic home should have a crucifix. A crucifix is a sacramental. The Catechism of the Catholic Church teaches that: “Sacramentals are sacred signs instituted by the Church. They prepare men to receive the fruit of the sacraments and sanctify different circumstances of life. Among the sacramentals blessings occupy an important place. 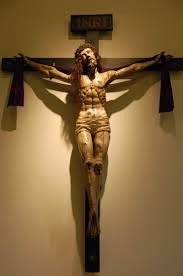 They include both praise of God for his works and gifts, and the Church’s intercession for men that they may be able to use God’s gifts according to the spirit of the Gospel.” Along with a crucifix you can also display images of saints, the Sacred Heart of Jesus, and Mary in your home. How do you teach your children about faith? Why is faith important to you and your family?